What the law says about harassment: What is your responsibility for preventing abuse or harassment on your farm? Experienced law clerk needed for busy practice with a collegial work atmosphere in Fergus. The ideal candidate will have two or more years of estate administration experience. Real estate experience would be an asset but is not requisite. The candidate will also be organized, accurate, a self-starter and an excellent communicator. Reply by email to address indicated in posting with covering letter addressed to L. Villar c/o phall@wolfelawfirm.com, resume, references and compensation expectations. Deadline: February 2, 2018. Our thriving law firm seeks a solicitor to practice law in the heart of Southwestern Ontario, amongst tourism destinations, a world class arts community, picturesque heritage towns, stunning scenery and a thriving sports and cultural scene catering to every age and taste. Wolfe, Smith & Forster LLP has a history of many decades in Fergus and Wellington County. Now partnered with Nelson, Watson LLP in Guelph, Wolfe, Smith & Forster LLP continues to be a chosen law firm for residents Wellington County. Following the retirements of Deryk Smith and Cecil Wolfe, two founders of the firm, we seek a solicitor with not less than two years of experience in one or more of estate planning and administration, real estate and/or corporate law to meet the needs of a very busy practice. This position will work with a team of lawyers and law clerks to be a trusted legal advisor on a variety of legal issues. The ideal candidate possesses experience in one or more of the above areas of law, strong desire to live and work in Fergus or Wellington County, desire to help individuals and families as well as small to medium and agricultural businesses, and the attributes of a self-starter, team player, excellent written and verbal communicator, problem-solver and trusted advisor. We are open to applications from candidates with a range of experience (eg. from 2 to 20+ years) and/or proposing alternative work arrangements, which may include part time, full time or other arrangements. Reply by email with covering letter addressed to C. Knapp and L. Villar c/o phall@wolfelawfirm.com, resume, law school transcripts, references and compensation expectations. Discretion assured. Why are women afraid to negotiate? What do they leave on the table by failing to ask for more? On January 27, 2017, Cherolyn Knapp will be presenting on “Women and The Art of Negotiation” at The Spot Restaurant in Mount Forest, ON at the invitation of Women of Wellington Saugeen Area (WOWSA). For more details and to register, you can visit the WOWSA Events Page by clicking here. Can KW businesses get compensation for losses from LRT construction? Cherolyn Knapp spoke to CTV Kitchener and Abigail Bimman for their 3-part series, “Up to Speed“. Cherolyn explained that when a municipality or other level of government undertakes a public works project that causes business losses, businesses can seek compensation for Injurious Affection. The remedy arises under Ontario’s Expropriations Act (even when no land was expropriated). the loss resulted from the construction of the public work, not its use or operation (i.e. the fact of the construction of an LRT line, airport, highway, as opposed to the later use or operation of that public work). Businesses should maintain financial records including records of when and how the losses were incurred, records of communications from the municipality, photos, notes and video recordings with time and date stamps of actual construction interference. They may also likely need to obtain expert reports from accountants and engineers to give opinions on the losses and the unreasonableness of the interference. The upshot is that we all benefit as a society from improvements to public works and infrastructure. The law of injurious affection, as laid out in the Expropriations Act, requires that governments such as municipalities or the Province compensate business owners for the business losses caused by those projects. Click here to see the 3 part Series. Part 3: “Can You Sue for LRT Construction” includes Cherolyn’s interview. For more information, contact Wolfe, Smith & Forster LLP in association with Nelson, Watson LLP and ask to meet with Cherolyn Knapp’s litigation team about a potential injurious affection claim. Cherolyn Knapp knows a thing or two about negotiation. 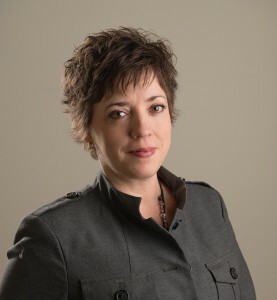 As a lawyer and partner with Nelson, Watson LLP/ Wolfe, Smith & Forster LLP, she provides legal advice and representation in various types of disputes and has represented clients before all levels of Court in Ontario. Cherolyn’s approach to dispute resolution focuses on negotiation and mediation to achieve out of court settlements, and seeks court determination of disputes that cannot be resolved. All of us at Wolfe, Smith & Forster LLP and Nelson, Watson LLP wish Deryk Smith a happy and well-earned retirement. A heartfelt thank you, Deryk, for your many years of service to your clients and for your leadership in the firm and in the community. We hope that you and Shirley will have many years to enjoy time together and to be with your children and grandchildren. We miss you already. Deryk’s clients will be well cared for by Lee Villar, Tory Laing and Alayna Longstaffe, and of course Joanne! Nelson, Watson LLP and Wolfe, Smith & Forster LLP are officially associated as of January 1, 2015. Both firms will continue to operate under their original names at their downtown locations in Guelph and Fergus. Combined, the two firms offer a broad range of legal services with 10 lawyers and teams of experienced legal support staff. Both offices look forward to continuing to care for clients in Guelph and Wellington County.